Who’s going to sort out our new generation of nuclear power stations? The argument has rumbled on for months, but it all became clear on Tuesday night. 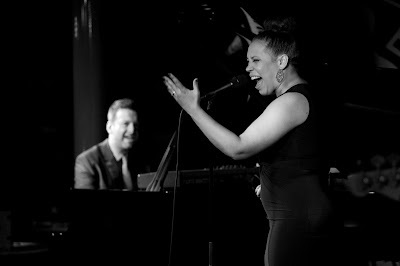 In one performance, California-born, New York-based vocalist Shayna Steele unleashed enough voltage to light up the West End. She certainly lit up the audience in Pizza Express. Supported by David Cook (piano), Ross Pederson (drums), Jeremy Most (guitar) and Brian Cockerham (electric bass) the band delivered two sets to stir up genres and emotions. There was soul, blues, gospel and rock. Divas need to have power, range and emotion. Check all those, whatever they mean, but Steele brings us humour and humility, too. If Everbody’s Cryin Mercy (Mose Allison) isn’t your thing, Faust Arp (Radiohead) or Grandma’s Hands (Bill Withers) surely will be. 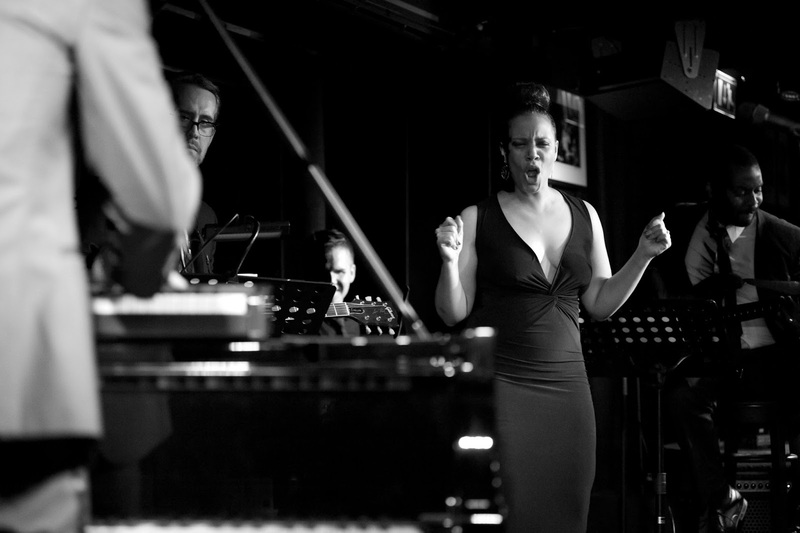 Steele’s known for her performance of Gone Under (Snarky Puppy) and this is delivered in high resolution, with pride. There's some fabulous original music, as well. Sunshine Girl is a perfectly formed, delicate, beautiful gesture to Steele’s 3-year-old daughter. The ensemble isn’t there to make up the numbers: every instrument is deployed intelligently, sensitively, adding little shades of colour. Steele’s as contented as the rest of us to keep quiet and listen to delicate patterns of piano. Ross Pederson’s versatility unfolds for us stage by stage, like a kind of Michelin-starred banquet. We open with fingertips on drum heads in I Got You, we progress through subtle licks and grooves and end with a tearing, driven, Wear Me Down. Not every drummer can operate in a ten-tenths blur of sticks, sweat and cymbals, yet remain perfectly placed, swinging and sizzling around the melody. This drummer can. We arrive at that long pause before the final note of the last song in the encore. It can only be stretched out if a singer’s confident she’s really got her audience hooked. Tonight's is a really long one: tense, dramatic, almost funny. In a bustling pizza restaurant there'll always be someone clinking a plate, fretting with a handbag or printing a receipt on a card machine, right? Not tonight. Total silence, motionless waiters, every face turned to the stage like a field of sunflowers bathed in strange blue light. As long as these visitors are playing, London won’t be short of light. If you need a midweek pick-me-up, you have one more night to go and plug yourself in.